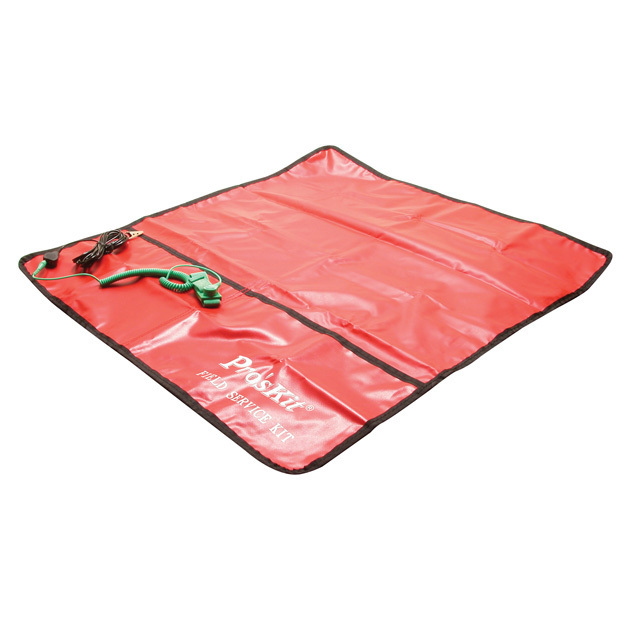 This mat is compact and easily transported. Overall size is 26" x 24", but folds down to an 8.5" square. Also included is a 10 foot grounded cord ESD wrist strap.